AND WE DO IT RIGHT. 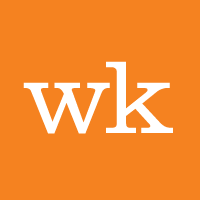 Webknowledgy is an interactive design and development firm in Minneapolis, Minnesota. We help clients build their brands and businesses online. Our tech-savvy team knows as much about design as they do about SEO/SEM, Social Business, analytics and complex back-end solutions. We’/re not a company that’s out to wow you with our fancy suits and expensive sounding lingo. We just want to help you use the web in ways that make money, make sense, and make your customers love you. That’s all. Our team is full of good people. Smart. Hard-working. Honest. Even witty. They pull together to get every job done. They don’t overcharge. And if the cookie jar is low, they’ll make some more. Nathan Almquist (Owner & Chief Strategist) hails originally from Nome, Alaska. Seriously. He’s your go-to guy for all things strategy. He will never, ever sell you something you don’t need. Nathan offers clients 20 years of experience in marketing communications through work in prominent big box retail organizations, non-profits and agencies in the Twin Cities. He is one of a small group of interactive professionals in Minnesota whose industry experience is 15 years strong. Most recently he was president of a top 25 interactive agency in Minneapolis for 11 years before launching Webknowledgy and its sister agency The Almquist Group in the summer of 2007. Nathan has a degree in English and Sociology from St. Olaf College in Northfield, Minnesota. We build more than websites. It takes all kinds of tools to make an interactive agency really go the distance. Here’s what we have in our toolbox. It’s just common sense, really. After 16 years, we know what’s necessary, what works, and what’s most important when building interactive solutions. We don’t want to bore you with a big unecesssary discussion of our methodologies and strategies and things. Mostly, we just ask smart questions. Listen objectively. Dig a little deeper. Then we lay out a plan, make sure it’s okay with you, and build whatever needs building. Usually this happens pretty quickly and painlessly. Keep in mind that in any creative agency, sometimes your best results can never be discussed or at least put in writing. Our successes are our clients and we prefer it that way. Want to know more about what we’ve done? We’d love to share our work with you. Let us know what you’d like to see. I have greatly enjoyed partnering with Webknowledgy on projects for CrownPeak CMS clients. Their design solutions are smart, sound and graceful to implement. Webknowledgy does a heckuva job for us. We really appreciate our partnership ... you have listened, understood, created and delivered. Email. Call. Send a Postcard. Webknowledgy is an interactive design and development firm in Minneapolis, Minnesota. We help clients build their brands and businesses online. Our tech-savvy team knows as much about design as they do about SEO/SEM, Social Business, analytics and complex back-end solutions.